Looking to start an aphasia program or strengthen your current aphasia program? You've come to the right place. Here at Aphasia Access, we are dedicated to increasing awareness and treatment options for those living with Aphasia. Want to learn more? 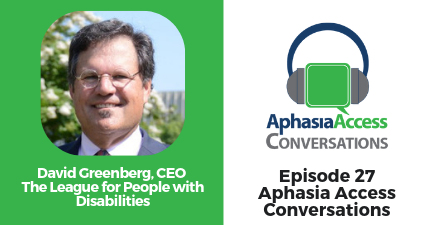 Watch our educational programming of the Life Participation Approach to Aphasia and listen to our podcast series. Don't forget to check out our Facebook page to network with and get updates from leaders in the community. © 2017, Aphasia Access. All rights reserved.